There are different types of heat pump systems to choose from. Which one is right for you depends on the size of the room or house you want to heat or cool, the location of your home and your specific needs. Below is a brief description of the different types of heat pump systems. The single split system is ideal in one room or area like an open plan living area or lounge. 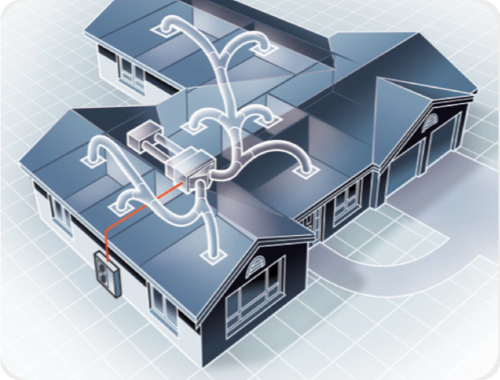 The split system heat pump has a single outdoor compressor unit connected to one indoor unit. The indoor unit is either wall or ceiling mounted, or it may be a floor standing model. This is a single room solution and it cannot control the temperature of more than one room. The multi split system has the exterior unit connected to more than one indoor unit. This system is used when there is a need for heating in more than one room. 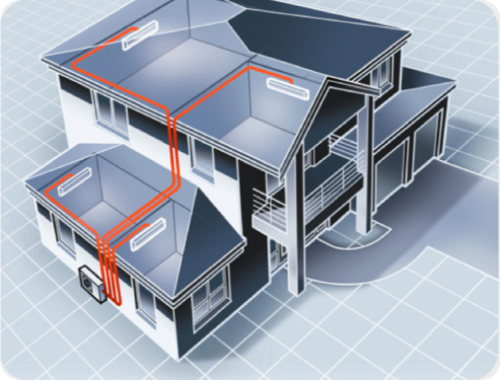 A ducted system is a larger system, designed to heat or cool a whole house. 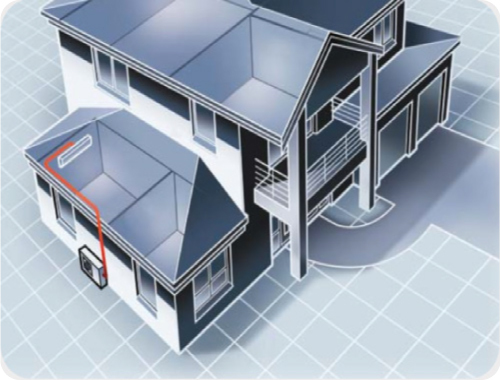 The ducted heat pump system has one exterior unit and the indoor unit is usually in the ceiling or under the floor. It distributes warm or cold air through ductwork and small vents located throughout the home. This is a whole house solution.